Sometimes I really dislike my owner. Not hate, because hate is a strong word, but dislike. Seriously, just because I offer to kad feed for her to get the avatar, it doesn’t mean she should make me keep a stupid journal about it! I mean, she should know by now that I totally do not like writing!!! I complain about it enough. “Of course, there’s something wrong! I can’t feed one stupid Kadoatie at that stupid Kadoatery no matter how long I try! My friend has already fed 25!” She flopped onto the couch as my brother stuck his head in the living room curiously, withdrawing it before our owner could notice. He had the sense to stay away. Why can’t I have that sense? “I’m sure you’ll get one soon, and then you’ll be unstoppable!” I assured her brightly, sitting across from her on our beat-up old armchair. “Easy for you to say—you don’t sit in front of the stupid place all day with a sack of food waiting every 7 or 28 minutes for them to go hungry!” she almost yelled. “Really, Sky? You would do that for me?” she asked, her face lifting. How can you change your mind about that if the person gets so happy? You can’t, unless you want to be a horrible pet, which I do not. So then she goes and hands me a sack of neopoints and a much larger sack of food, while filling me in about the kad feeding process. “The kads go hungry at least every 28 minutes, and if they don’t go hungry, it’s called a pend. If it pends then you add another 7 minutes and if it pends again, you add another 7 minutes, etc, and if they ask for any potatoes, feed it to them because I have all the potatoes in that sack, or if not, then take the neopoints and buy a food they’re asking for...” and so on. So now here I am, writing in this journal, with my paw cramping up around this pencil. My owner better be pretty darn thankful, that’s all I’m saying. Oh my gosh, have I ever mentioned how HARD kad feeding is? I swear I’ve been out here since the crack of dawn and every single time someone beats me to the Kadoatie asking for a potato! And that’s at the time they ask for a potato at all! But I think I’ve got the pattern down, and I’m making some really cool friends. There’s this rainbow Kacheek named Annie who is really nice. But this faerie Pteri named Haley has such a bad attitude! Just because she can feed kads and has fed over a hundred does not mean she can gloat and tease all of us mewbies (that’s what she calls us). Oops, I should run; main (that’s what we call the time when the kads might go hungry) is in a minute! You've made Bunny a very happy Kadoatie. WHEEEEEEEEEEEE!!! I’m going to run home between Mains and tell my owner right now! I have fed TWO today! I am on a roll!! My owner was really happy with me yesterday and took me out for ice cream. My younger brothers Duel and Ron were way jealous. Although Ron claimed he doesn’t even like ice cream. But he’s a grey Moehog; he says he doesn’t like anything. Anyway, soon I will go silver! That’s when you feed ten kads, therefore getting a silver trophy. My owner says that if I keep it up we’ll pass her friend, who is getting really busy and doesn’t have as much time to kad feed. She wants to go pink (get the avatar) before her. The friend, I mean. My owner is super competitive. I am officially silver! This is totally great. I haven’t written in here for a week and I could tell my owner was getting angry, despite my amazing kad skills, so I am writing this in front of her right now. Although she wasn’t too angry when I brought home that silver trophy this afternoon. I don’t think I’ll ever stop kad feeding, even after I get the avatar; it is super fun! Plus there are so many cool pets to keep me company over there. Except Haley and her cronies. They are little pills, and seriously need to chill. “You’re just getting lucky, Ros,” she sneered when my friends all high fived me after I collected my trophy. I don’t even know how she figured out my old nickname that I told everyone not to call me. I only told my friends that. Whatever. Today is a personal record for me. I FED FOUR WHOLE KADS!!!!!!!!! Ugh, Haley just looked over and saw what I wrote and went, in her snotty voice, “I just fed my eighth kad today.” This is what I get for using capital letters. I replied by going, “Didn’t anyone tell you it’s rude to read what others write?” She just glared and stalked off. I think I handled it pretty well. At least I didn’t pull her tail feathers like I did last week when she really got me angry by saying that my Tyrannian color made me look like a boy. Oh jeez, I think I might have just missed main! Oh, it was just a pend. THANK FYORA! Yesterday my owner told me I really need to pay more attention to the time instead of writing in this journal. Whatever, she was the one who gave this to me in the first place. I just went gold. I would be totally excited about that except something terrible happened right after. I am almost in shock, so I will write it down so I don’t forget what happened. That’s when I snapped. I lunged for her, ripping out some feathers. Haley screamed, and something behind me ripped. I looked behind me to see my sack of potatoes scattered across the Kadoatery floor. I scrambled around to pick them up, but too late. They were gone after I picked up one. Haley laughed, and flapped off to her friends, who were also laughing. My friends walked up to me, each with one potato in their hand. I took them and ran all the way to the Money Tree where I waited for an hour, with no luck, for someone to donate a potato. By then it was getting dark, so I dragged my paws home where I told my owner what happened. I am truly devastated. Because Haley was right—I am poor. And this kad feeding business is cutting severely into our profits. We started off with 300k (the result of random events and games in the past few years or so) and are now down to 250k! Plus it’ll be at LEAST 50k to buy a new inventory! At this rate we’ll only have 100k left by the time I get the avatar! 100k is NOT a lot! To pets like Haley it is like pocket money. I DO NOT WANT POCKET MONEY TO BE THE AMOUNT OF MONEY WE HAVE! This is so awful. And it’s my entire fault. I was the one who rose to the bait and ended up getting the bag ripped. I should never be allowed to kad feed again. 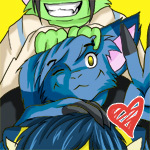 But then my owner will never get the avatar since no one else in our neohome is as good as me. I’ve fed 10 kads in three days, which is pretty good if you ask me. I think it’s mainly because of the fact that I bought a new (cheaper) inventory. It is now items with the word ‘Kiko’ in them. Who knew kads were so into Kikos? Other than that, nothing to report. All of my friends (except Annie) have quit kad feeding. Only one of them actually went pink. I hope I can stick it out until the avatar. Although lately, I’ve been getting a bit bored. Annie says it’s normal to get bored about halfway through. She says I just have to get farther than halfway. I asked her how Annie knew that, since she is at 26 kads, and she said she read it in a guide. I am at 37 kads so if I get one more today (which I probably will) I’ll be more than halfway! Yippee! Well, I am WAY past halfway now! I fed eleven Kadoaties in two days!!! That’s like, five a day!!!!!! I have definitely got the hang of this kad feeding thing. And Annie was right—I’m not even bored anymore! Even Haley’s sarcastic comments aren’t affecting me today! This is GREAT! Well, it’s the last day of the month. Tomorrow will be my one-month anniversary of kad feeding. AND I AM AT 74 KADS!!!! ONE MORE AND I GO PINK!!!!!!!!! We have 63,528 neopoints left, and all of them are in my little pouch. My owner says I can spend every single neopoint if I go pink today! Annie is super happy for me; she quit the other day (she ran out of money), but she is still here to keep me company. OH MY GOSH, MAIN IS IN ONE MINUTE! I WENT PINK!!!!!!!! It took me three more mains since my last entry but I still did it! And under a month too! Annie says it has to be a record. I told my owner and she was ECSTATIC! She threw a party with our remaining neopoints. Even Duel and Ron had a blast! HALEY HAS BEEN LYING TO US THIS WHOLE TIME! It turns out she has only fed SEVENTY kads! And she has been feeding way longer than me! I am so glad Annie was there to witness that. And Haley turned as red as the tips of her feathers! It was great. So Annie and I walked back to my house, laughing our heads off, and then my owner threw this great party and we had so much fun! But the best part is I have found a new hobby! And this one doesn’t involve spending all of our money on kad food. So I told her I’d try it with her, and we’re going to start tomorrow. Now I’ll actually be earning money for our family. I doubt we’ll be poor much longer! And my owner said I can keep 50% of however much I make every day for myself! I think I’ll try and publish this journal for future kad feeders. I’ll call it, Memoirs of a Kad Feeder. Because you know what? That’s exactly what they are. We all have a characteristic star shaped marking on our foreheads, which makes us easily identifiable. This marking isn't just for looks; it serves a purpose.